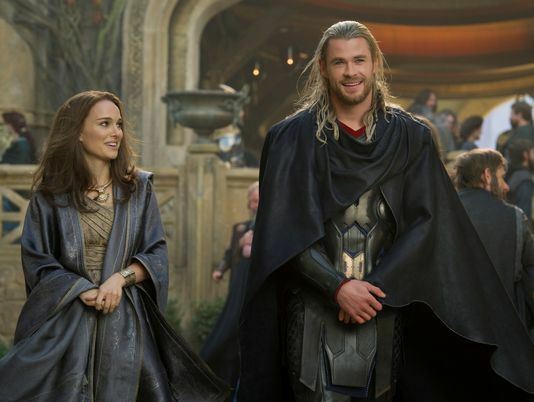 The trailer of the sequel to 2011's smash hit Thor titled Thor: The Dark World was released today and we have it for you right here. What do you think of Marvel's next after Iron Man 3? The eighth installment in the Marvel Cinematic Universe, Thor: The Dark World is directed by Alan Taylor and stars Chris Hemsworth, Natalie Portman, Tom Hiddleston, Stellan Skarsgård, Idris Elba, Christopher Eccleston, Adewale Akinnuoye-Agbaje, Kat Dennings, Ray Stevenson, Zachary Levi, Tadanobu Asano, Jaimie Alexander, Rene Russo and Anthony Hopkins as Odin. 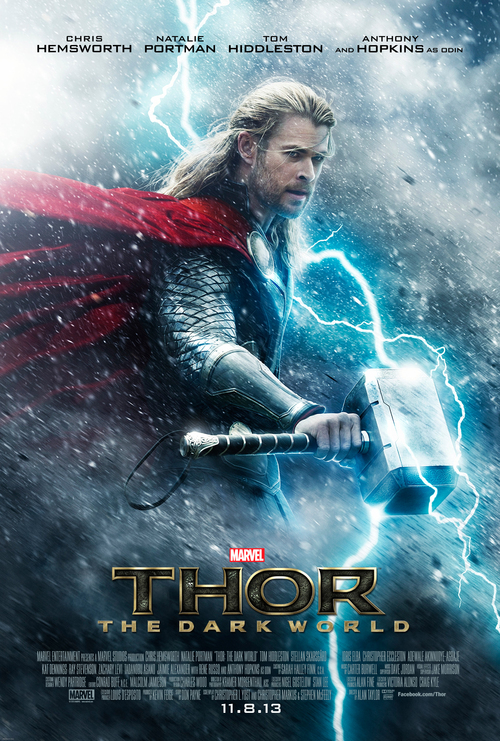 "It doesn't get much badder than Chris Hemsworth as Thor. It's rare that you have a poster that is just Chris Hemsworth shooting on the set. But he just looks like Thor. We just put in some lightning, and he's got his hammer and you're there. It's just an incredibly striking image," said Marvel president Kevin Feige to USA Today. Marvel’s Thor: The Dark World continues the big screen adventures of Thor, the Mighty Avenger, as he battles to save Earth and all the Nine Realms from a shadowy enemy that predates the universe itself. In the aftermath of Marvel’s Thor and Marvel’s The Avengers, Thor fights to restore order across the cosmos...but an ancient race led by the vengeful Malekith returns to plunge the universe back into darkness. Faced with an enemy that even Odin and Asgard cannot withstand, Thor must embark on his most perilous and personal journey yet, one that will reunite him with Jane Foster and force him to sacrifice everything to save us all. The film hits theatres 8 November 2013.